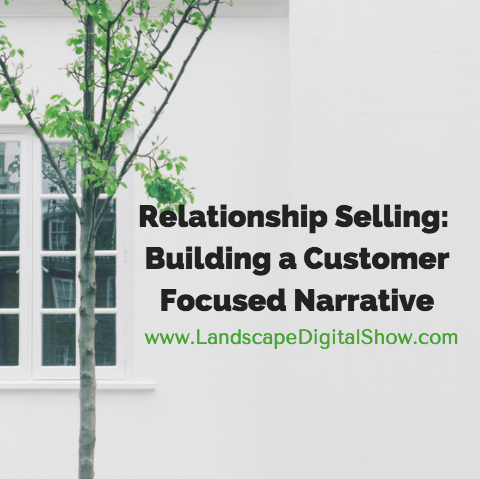 Episode 79 of Landscape Digital Show reveals how to build a relationship selling narrative that attracts and retains customers. Have you ever noticed that some people always answer a question with a story? For some of us, storytelling is part of our DNA because we learned at a young age that a compelling story is arguably the best way to sell an idea. For me personally, growing up with three brothers was the perfect storytelling training. When put to the test you quickly learn that telling the truth works better when it’s backed with a compelling story. While a handful of people may be natural storytellers, most of us struggle with exactly how to convey information in meaningful ways, especially when the circumstances are unexpected. 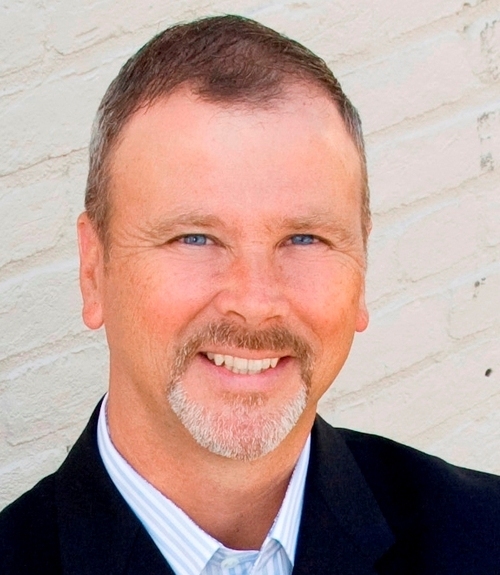 What’s needed is a structure that will stand up to the demands of any situation, including what buyers want to know that they believe will help them solve their problem. This is why relationship selling requires a sales process that is supported by a narrative structure, a series of stories that collectively become a purposeful, global story, like a novel, film, or non-fiction documentary. Your global story is your value proposition. The sequence of stories that support it give prospective buyers what they need, where they need it, and at the right time. In my landscaping business, we knew that early in the relationship we had to tackle tough issues like design fees, budgets, and timelines. If we failed in that conversation it was all over. Thus, the first true challenge was to get the buyer to know, like and trust us and our business. How exactly does that work? Most of us have learned to start by asking good questions and listening, but at some point in that conversation, you need a story that hooks them so that they are dying to know what happens next. That’s where the relationship selling narrative begins. Buyers are hungry for information because they want to make the best decision for their particular situation. Yet even in our data-driven world facts and figures will fall short if there is not a persuasive story that validates why that data matters. Before I started writing this article I pulled out a legal pad and divided the page into three equal sections that represent the beginning, middle, and end of the article. Probably the greatest value of this planning and organization method is that it gets you thinking in terms of where your ideas will work best. Last night I was watching the film Adaptation that profiles Robert McKee’s legendary storytelling methods. One of the points he emphatically made to the aspiring screenwriter played by Nicolas Cage is there has to be change! For characters to be changed there has to be a progression and that is a function of time. This is why every story has a distinct beginning, middle, and ending, and yours should too. It’s a classic structure that has been used for centuries. Beginning Hook – For a story to work it has to hook the audience in a way that has them wanting to discover how it turns out. Middle Build – Taking action involves risk and that’s what builds in the middle of your story. There is drama and suspense that raises the stakes and the risk of taking action. Ending Payoff – Did the risk pay off? That’s the resolution of the conflicted emotions that build in the middle of the story, and it often happens in unexpected ways. It’s helpful for you to know that every story is comprised of beats, scenes, sequences, and acts. It’s not important to know what these are, other than pieces of a story that move it forward. Your story may have three acts, one for the beginning, middle, and ending, or like most novels, it may have over a dozen acts. But what’s an act? Acts are major changes in the story that are comprised of beats, scenes, and sequences, which are smaller elements of change. They all build on each other to create greater change. The important changes or acts in your sales process may be signing a contract, mobilizing for the work, and getting paid. You’ll intuitively figure out how to spark those changes that get buyers taking action on mutually beneficial objectives. One of the reasons it is so difficult to answer the networking question, “What do you do?” is that the best response is telling your global business story, which would be a massive undertaking. In fact, most of us often reply with something like, “Wow, where should I start?” Now, you know – at the beginning. A smart approach is to define that beginning within a much narrower context, like what you are working on right now. That’s what will easily get the conversation started. This is exactly what you want to do in selling situations to engage prospective buyers or customers. Your larger narrative is the global or brand story that is at the heart of all of your marketing, but that can be too much for most people to digest. Try this. Start with the most relevant story and wait for the response. Then follow it with another that is equally meaningful and that gives it further context, and so on, with all of it relating back to your brand story. It isn’t necessary to understand everything about storytelling to build a customer-focused relationship selling narrative. More important is to understand the big picture, your brand story, and how a collection of supporting stories build it, including those that may be 140 characters or less. The ideas I’ve shared here are a portion of my most popular speaking program: Relationship Selling in The Trust Economy. I’ll be presenting it in the coming months at a number of events, including LANDSCAPES 2017 . Hope to see you there! The call to action for this episode is to get clear about your brand. Then get busy using your website, social media, and email marketing to tell that story with a narrative of stories from your years of helping customers every day. 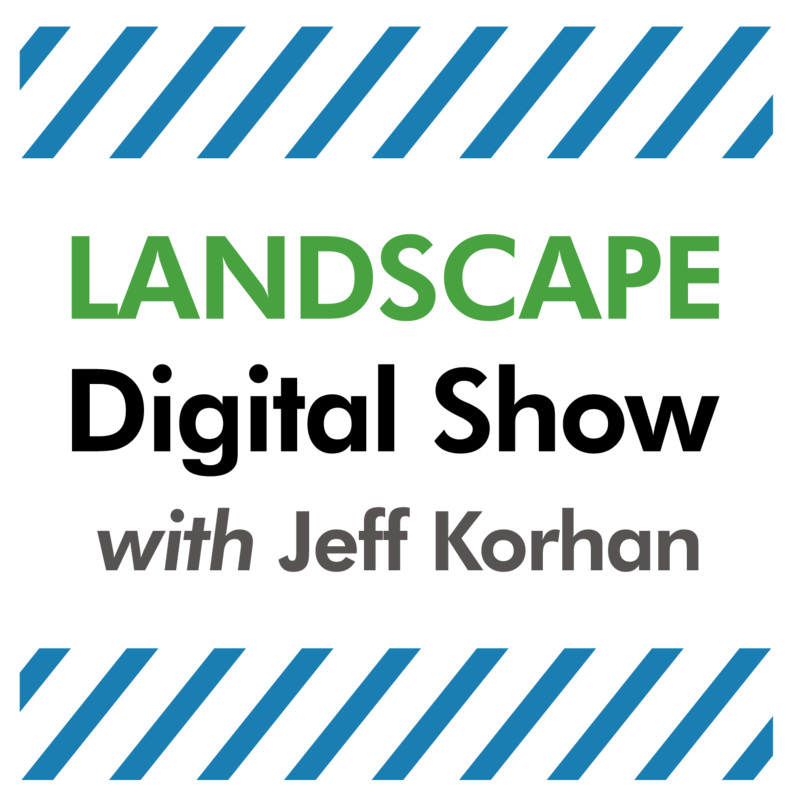 In an earlier episode of Landscape Digital Show, we discussed the editorial calendar. You may wish to review that to learn how to use it to keep topic ideas ready to test new stories when they come along. them.